Every morning, I arrive at my computer hoping to read something new and hopefully uplifting about autism. More often than not, recurring themes play out day after day, year after year. Perhaps this is one of the side effects of being introduced to the world of autism over twenty years ago. Unfortunately, the tragedies seem to never end. The most common and horrendous is where a parent takes their life and the life of their autistic child because they’d rather be dead than continue with the unbearable nature of this life. Last week was no exception. The latest autism related suicide/murder occurred in the San Francisco Bay Area. At about the same time, a typical media feel-good story was publicized, this time about Savantism. Most often the type of talent showcased is music. In this case, it was about a singer with autism. We’re all supposed to suddenly feel good that this one person’s talents have finally been recognized. Although the singer should be applauded, it is troubling that it takes so long for those around him to recognize his skills and work with him on developing them further. He was three years old when he was diagnosed with autism. How could it have possibly taken 23 years to recognize his abilities? The next popular news story typically concerns a high functioning person with autism (who actually may have Asperger’s Syndrome) being showcased as a representative for all people with autism. Last week, the representative with autism media chose to highlight is Dr. Temple Grandin. 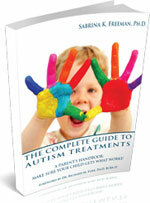 She is once again in the news, giving insight from her life to parents of children with autism. Whether a person who is as accomplished as Dr. Grandin can accurately represent all people with autism is never questioned, since that would be unseemly; however, it is always in the minds of parents whose children are severely afflicted with the disorder, insofar as their child is light years apart from a Dr. Grandin level of functioning. Another theme that is endlessly rehashed with every newly minted media reporter is the “blame the parent” theory. There are several varieties of this meme. The theories morph from blame the mother, to blame the father, to finally blame the pair-bonding process wherein parents of children with autism apparently self-select each other and thereby create children with autism. Although these tired theories continue to bore us as they are introduced anew, they always remain offensive in nature, with each new crop of reporters that resurrect them. A relatively recent autism theme that is introduced repeatedly, seemingly week after week, is autism segregation under the banner of compassion. The latest story is about special religious services for children who are too disruptive to attend regular services. We’re all supposed to feel warm and fuzzy about this segregation rather than incensed that 1) our community cannot be more tolerant of disability and accommodative, and 2) that no one is working with these kids to teach them the skills they need to be able to attend a regular service. It would be great to wake up one fine morning and read about a genuine breakthrough in autism treatment, or even a scientifically backed cure! It would be wonderful to never hear of another autism murder/suicide or more pap from green horn reporters about “newly discovered” discredited therapies, but I don’t hold my breath. We parents of children with autism are seemingly forever in Groundhog Day the Movie, Extended Autism Edition.